Testing, Replacing and Installing new Smoke Alarms keeps your family safe! Attention Home Owners: Have you had your smoke alarms tested recently? Smoke alarm testing and replacement should be done by a licensed electrician regularly! If your smoke alarm keeps going off or beeping for no reason, it could be faulty. Try changing the batteries yourself and make sure you have an electrician test and replace any faulty smoke alarms. Smoke alarms need maintenance! The Melbourne Fire Brigade states that all smoke alarms must be tested regularly and be replaced every 10 years. You should have a smoke alarm between each bedroom area and the rest of the house, on each floor of your house, and inside any bedroom where someone sleeps with the door shut. Our smoke alarm services include cleaning, testing, and installing new smoke alarms. We ensure compliance with the Building Code of Australia and Australian Standards AS 3786-1993. It is now mandatory to hard wire your smoke alarms to your mains power with a backup battery in case of a blackout. Have one of our licensed local electricians come and inspect the smoke alarms in your home to check they work and are keeping your family safe. Attention Landlords and Real Estate Agents: Get peace of mind knowing that the smoke alarms in your rental properties are keeping your tenants safe! Our electricians can service the smoke alarms in your properties to check you are meeting your legal responsibilities when it comes to fire safety. 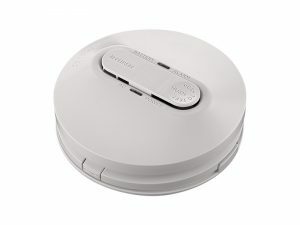 What is the Best Smoke Alarm to Install? 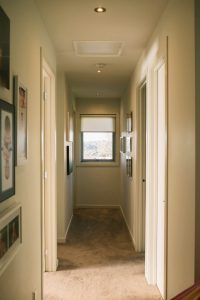 We supply and install Clipsal 240v Photoelectric Smoke Alarms because we believe they are a reputable brand providing high quality reliable smoke alarms. Why risk your family’s safety with a cheaper and inferior product? In saying that, we are more than happy to discuss different types of smoke alarms and their pros and cons with you over the phone and install the one of your choice. Install new smoke alarms connected to 240 volt mains power with the addition of a backup battery. Keep a record of when you last had your smoke alarms serviced or replaced so that you know when to have an electrician come to inspect them again. Be responsible and keep your family or tenants safe by following the guidelines for smoke alarm safety.